The Benefits Of Protein Shakes! Find out how protein shakes can help you add the extra 5 lbs, lose the extra weight around your stomach or help you get cut for a contest. These days, it seems like there are more and more bodybuilders taking in more protein in some form or another. Just walk around the local grocery store, and you'll likely find an assortment of protein-enriched cereals and even "high"-protein oatmeal. Whether the type of protein is soy, whey, casein, or milk... it's all about one thing: protein. Of course, one of the best ways to get the amount of protein that your diet requires is through solid food, but as I am sure many bodybuilders would agree, it is not always easy to get all of their protein though solid foods. Especially when you carry out a full time job and don't always have time to prepare meals, through which to get your protein. This is where protein shakes have their place. All you need is a quality whey protein powder, a shaker bottle, and some water, and you'll always have enough protein at your fingertips to fuel your muscles! So why is it that so many bodybuilders take protein shakes? Well, protein is used for the production of muscles. Proteins are also used to manufacture hormones, enzymes, cellular messengers, nucleic acids, and immune-system components. Without adequate protein, our bodies can't put together the structures that make up every cell, tissue, and organ, nor can it generate the biochemical substances needed for cardiovascular function, muscle contraction, growth, and healing. Without an adequate amount of protein our muscles wouldn't heal up as quickly and could therefore lead to overtraining your muscle which could lead to injury. Whey protein has become a favorite supplement for those seeking to put on muscle and enhance their physiques as well as improve their health. Also, after a workout is one of the best time to get protein into the body so that the protein can be delivered to your muscles, to begin healing the "micro tears" (very small tears in the muscle tissue, caused by intense contraction of the muscle during workout) in the muscle. Because solid food takes more time to digest and to break down the protein and send it to the muscles, it can be best to take a protein shake immediately following a workout, since protein shakes only take about 30 minutes to reach the muscle after ingestion. Definitely, we can see the advantage to taking a protein shake in this instance. Whey protein has become a favorite supplement for those seeking to put on muscle and enhance their physiques as well as improve their health. In order to decipher which protein is best for a particular need, typically one would use a specific gauge of some sort (e.g., protein quality tests) to determine which protein to use. The most commonly used criteria to measure the quality of a protein is Biological Value (or BV for short), which is the amount of nitrogen (body protein in grams) replaceable by 100 grams of protein in the adult diet. Proteins with the highest BV are considered by many to be the best for promoting growth, but this is an often disputed issue among scientists. However, most scientists directly involved with protein research agree that the higher the BV, the better the protein is digested, used, and retained in the body. This should equate into more lean tissue gained, all things being equal (i.e., calories, exercise choice, etc.). It is, however, a very complicated topic not given to such black and white answers. 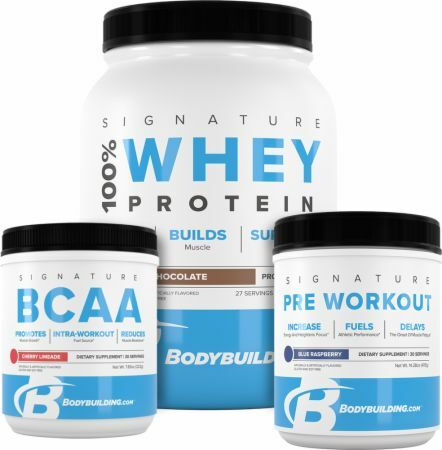 The bottom line is, whey is a complete protein with a very high BV and this means it contains all the essential and nonessential amino acids and boasts the highest branched-chain amino acid content found in nature. The BV of whey is approximately 104, while the next highest BV is 100, for whole egg. In contrast, the BV of whole milk is 91, the BV of casein is 77, beef is 80, soy is 74, wheat is 54, and beans are 49. Again, BV is only one criteria for proteins, and although important, people often make too big a deal of it. For example, beef has a fairly low BV but has been a staple protein for athletes (and people in general) for decades. Soy has a low BV but has other potentially useful properties. So, as a general guide to choosing proteins, BV is something to consider but should not cause people to put blinders on to other proteins. How Much Should You Take In? The minimum amount of protein that you should take in for building muscle is 1 gram of protein per pound of body weight (for instance, if you weigh 200 pounds than the minimum amount of protein you should take in is 200 grams of protein for muscle growth). Any additional protein that exceeds the daily minimum for muscle gain just helps to speed up the healing process. Even though there has been debate over a maximum amount of protein you should take in, it is my belief that it is not possible for somebody to take in too much protein, however, if you take in huge amounts of protein it is a good idea to supplement your diet with calcium and magnesium since excessive amounts of protein has been proven to deplete the amount of calcium and magnesium in the body. However, I emphasize high protein ingestion for more than one reason. Not only do muscles require the marvelous ingredient to repair and grow but also three-quarters of the solids in the body are comprised of proteins. When Are The Best Times To Take In Protein? So now you know the benefits and how much you should take in, but the question arises, when is the best time to take protein into your body? Well, one of the times that your body is in need of it the most is immediately following a workout since your body starts to heal the muscle right after a workout, taking protein at that time will give the body the fuel it needs to heal and grow. Following your workout it's a good idea to take in small meals containing high protein in about three to four hour intervals, thereby providing your muscles with a constant supply of protein to help your muscles heal. It is also vital to take in a protein drink or a slow burning protein (such as cottage cheese) before you go to bed therefore providing your muscles with protein, since your body will be slowly depleted of protein as you sleep. Breakfast is a key meal as well, because your body awaits nourishment after sleeping for 8-12 hours. One of the best tips of advice I can give you though, is to eat consistently, day in and day out. Regardless of your goals, protein should be regarded as a foundational nutrient of any nutrition program it's an essential ingredient for achieving optimal progress in physique enhancement and performance. It's certainly no secret that any person who is generally active in sports and/or trains with weights or other resistance will benefit from getting enough protein. However, even those who don't bodybuild can find advantages to taking in protein. Many enjoy the anti-aging effects that a high protein diet can result in. But the only way to find out how beneficial protein can be for you, is to try it for yourself! Make the most of every workout with this pre-workout, BCAA, and protein combo!